Henry's Florist provides weekly floral and plant-scape services for many offices, retail establishments and restaurants throughout the New York and Tri-state area. We offer many weekly maintenance plans that offer unique floral designs and plants throughout your establishment please call us (800) 543-6797 to set up an appointment to meet with one of our Floral consultants to get you started today. WEEKLY FLORAL DELIVERIES: Henry's Florist every week will select and design the perfect floral arrangements for your restaurant, lobby, office, boutique or any other retail space. We use only the freshest flowers to ensure that your floral arrangements will last a long time. PLANT MAINTENANCE SERVICES: Using state of the art technology, Henry's Florist design staff will help you visualize what interior plants will look like in your facility to help you in the decision-making process. Rather than just showing you some generic thumbnail photographs, you get customized images that show exactly what the interior plants and decorative containers will look like prior to installation. This is a fun partnering activity we provide for our existing and future clients. 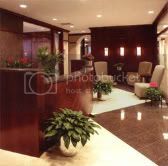 We professionally install office plant maintenance projects of virtually any size using the highest quality interior plants and materials. Our team of professional installers handle all elements of the indoor plant installation: selection of interior plants, location in your facility, delivery and set up. All of this indoor plant service is done on time and on budget without interruption to your daily routine. HOLIDAY DECORATIONS: Henry's Florist has one of the largest selection of fresh evergreen wreaths, Poinsettias, beautiful garlands, and Christmas trees for all your holiday decorating needs. 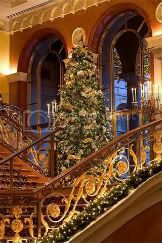 During the holiday season let our professional staff create stunning decorations that will transform your home and workplace in to a Holiday showpiece. CORPORATE GIFT GIVING:Henry's Florist takes pride in corporate gift giving let our professional staff create a unique gift for that special boss,co-worker or client for any occasion. We can help you save time and money from your busy day by simplifying the corporate gift giving process . Henry's Florist has a large wide variety of corporate gifts including: Gift Baskets, Plants, Fruit and Gourmet Baskets, and Unique and Chic Floral Arrangements.